One of the most common questions we are asked when people bring their vehicles in for auto body repairs is regarding the use of factory vs. aftermarket parts. There can be a lot of uncertainty surrounding the use of replacement parts, especially when it comes to cost, quality, reliability, and safety. When deciding which parts to use to repair a vehicle there are several factors that need to be considered. Southern Auto Body will always consider the age of the vehicle, the cost of the parts, the availability of the parts, and the warranty coverage of those parts. Above all though, our priority is always to return your vehicle to factory (or better) condition so that you can get back on the road SAFELY! Insurance companies may push for non-OEM, or aftermarket parts, due to the fact that they can cost up to half as much. Vehicle owners, on the other hand, are often more concerned with the quality and long-term safety of the parts, opting for factory parts. So, which is better, Factory (OEM) or Aftermarket (non-OEM) parts? That’s what we are here to discuss. Keep reading to learn some of the pros and cons for each. What Are Factory (OEM) Parts? Factory parts (also referred to as Original Equipment Manufacturer or OEM parts) are parts that are made by the vehicle manufacturer themselves. These are the exact same parts that are used to manufacture the car when it is first made, so they should fit seamlessly. When visiting a dealership for auto body repairs, they are most likely to use OEM parts, whereas collision repair shops like Southern Auto Body are likely to offer both. Keep in mind that it often takes longer to get original equipment manufacturer (factory) parts than aftermarket parts. OEM parts are generally more expensive than aftermarket parts, but they are also guaranteed to fit the vehicle, while also meeting the same safety standards as when the vehicle was originally produced. This isn’t to say that factory parts are always superior to aftermarket parts; they are just the same as the original parts. Guaranteed Fitment – Due to the fact that the parts are the same as the ones used to originally assemble your vehicle, they should be interchangeable with the ones you are replacing. This provides peace of mind knowing that you are getting a part that will work exactly as needed. Ease of choice – When it comes to factory parts, there is often only one choice available. Unlike aftermarket parts, where you may have to choose from a wide variety of options, factory parts are cut and dry, making your decision quick and easy. Factory Warranty – Most OEM parts will come with a warranty, so should there be any issues the part will be replaced. More Expensive – Factory parts are often significantly more costly than even similar or superior quality aftermarket parts. Availability – OEM parts are often harder to get. Many manufacturers require their parts to be purchased from their dealerships, which may limit availability and extend repair timelines. Quality – OEM parts must meet all required safety standards, however, they may not be the highest quality parts available. There will, of course, be cheaper, lower quality aftermarket parts, but often there are also higher quality aftermarket parts as well. Aftermarket parts are parts that are not made by the vehicles original manufacturer. Some aftermarket part manufacturers produce parts that are superior to the OEM parts, and some make parts that are far lower in quality. Many collision repair shops use aftermarket parts for their auto body repairs due to the fact that they are often much less expensive, are more readily available, and can be of better quality. In some cases, however, it is important to inquire regarding the quality of the parts being used. Should you ever be in a position where you feel that questionable parts are being used, inquire. Remember, most aftermarket parts are not covered by a warranty, so if there are any issues you may be on the hook for costly, inadequate auto body repairs. Cost – Aftermarket parts are often available at a fraction of the cost of factory parts. Availability – Whereas OEM parts are often limited, aftermarket parts are often widely available. In some cases, like with rare classic cars, aftermarket parts may be the only reasonable option. Quality – Although some aftermarket parts are very cheap and poorly made, there are almost always options for aftermarket parts that are superior to OEM parts. Many aftermarket parts have been reverse-engineered with any existing issues worked out in the design and manufacturing process. Choice – There are often a variety of choices available with many aftermarket companies competing for business. The variety can also be used to further benefit the above-mentioned pros; price, availability, and quality. Quality – It is true that there are often very high-quality aftermarket parts, but it is important to research parts before making a purchase. There are many cheap, poorly made aftermarket parts that should be avoided. Warranty – Many aftermarket parts do not come with a warranty. This is not always the case but is more likely with aftermarket parts than it is with OEM parts. Knock-offs – Unfortunately, there are aftermarket companies producing knock-off parts. These parts are generally not manufactured in North America due to safety regulations, but research is key. If an ‘OEM’ parts pricing seems too good to be true, it probably is. Resale Value – Using non-OEM, aftermarket parts can hurt the resale value of your vehicle. Factory vs. Aftermarket Parts For Your Auto Body Repairs? 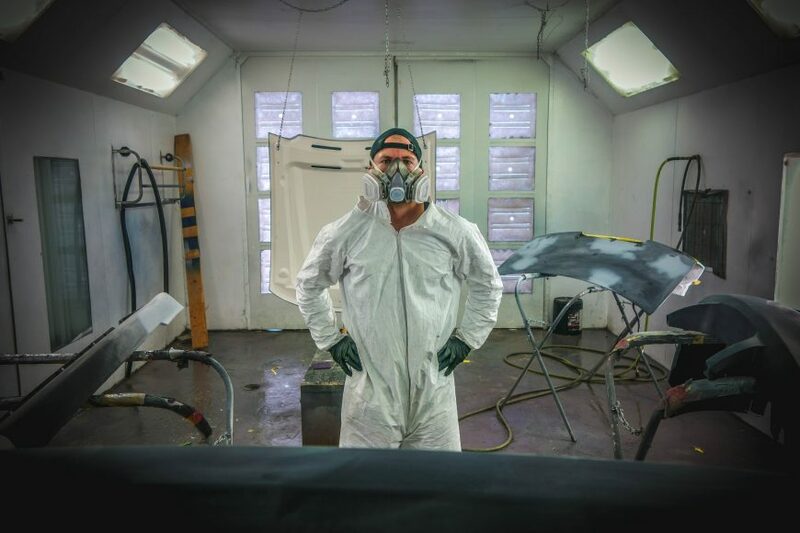 At Southern Auto Body our first priority is your safety, and we will do whatever it takes to ensure that all our Collision Repairs are carried out to ensure it! There are many pros and cons for both OEM (Factory) and Aftermarket auto body parts, but the choice is often ultimately yours. When on a budget, speak with Southern Auto Body to find quality aftermarket parts. When looking for a part that is guaranteed to fit your vehicle, and you are willing to spend a little more, an OEM part is likely the safest bet. If you have any questions about the parts needed for your car, contact us today!